Adult Placement has two components: Adult Care and Adult Care Facilities. 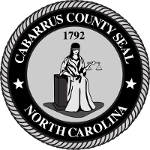 The NC Division of Health Service Regulation is responsible for licensing adult care homes, Cabarrus County Department of Social Services is responsible for providing an adult home specialist (AHS) to monitor Adult Care Homes to assure services are provided to the residents as set forth by NC State standards. Placement and Adult Foster Care Services include initial screening and assessment, assisting clients and representatives in securing needed medical information, assistance with completion of necessary financial applications, and help locating and securing placement in a suitable setting with an adequate level of care. The decision to seek long-term care outside the home for a loved one can be very difficult for families. There are many kinds of residential facilities for adults and their families to choose from. Facilities are licensed and categorized based on size, services provided and population(s) served. Choose a specific facility should be researched and thoroughly discussed with the adult who will be living there. The NC Division of Health Service Regulation offers information about adult care facilities including lists of all licensed facilities, facility STAR ratings and violations and penalties.